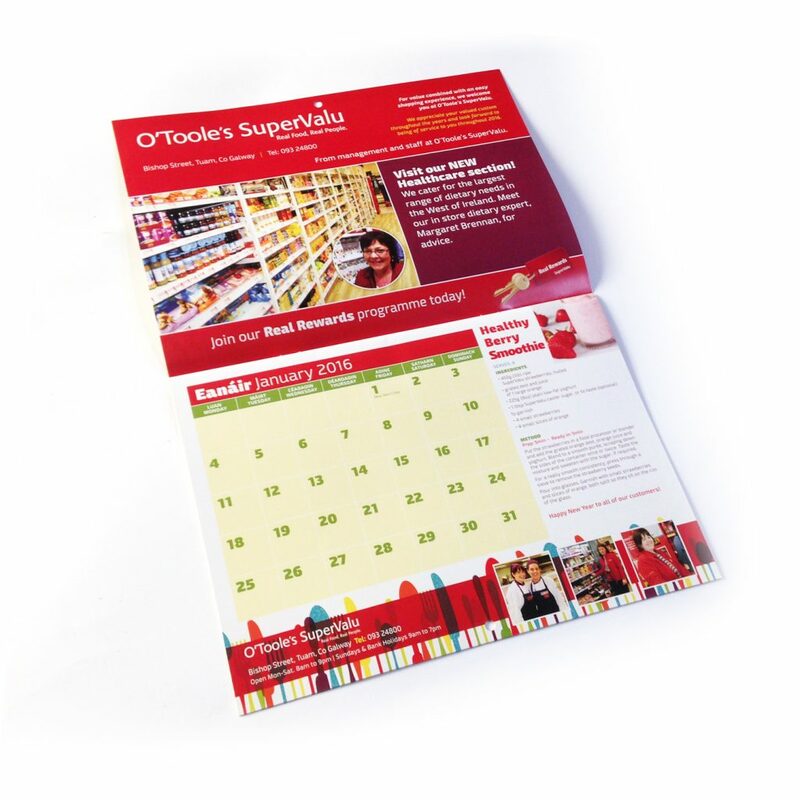 O’Toole’s Supervalu in Tuam produce a calendar every year to give to their customers, which is a great way to build brand awareness and customer loyalty. 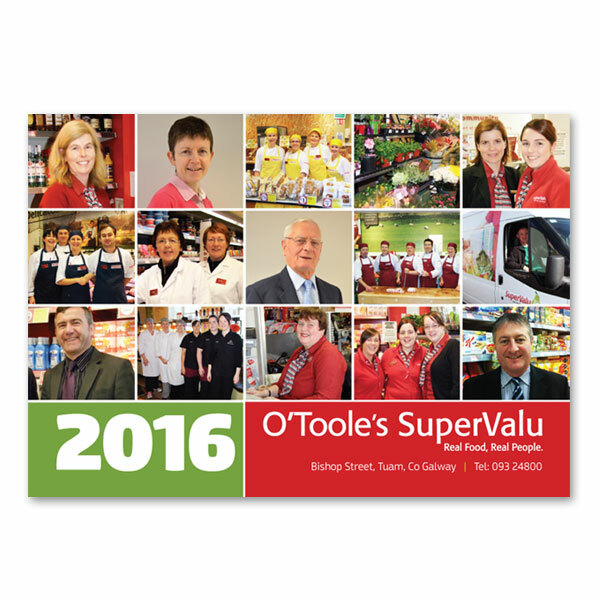 Packed with seasonal recipes, the calendar also highlights their dedicated staff, with photos used throughout and prominently on the cover. 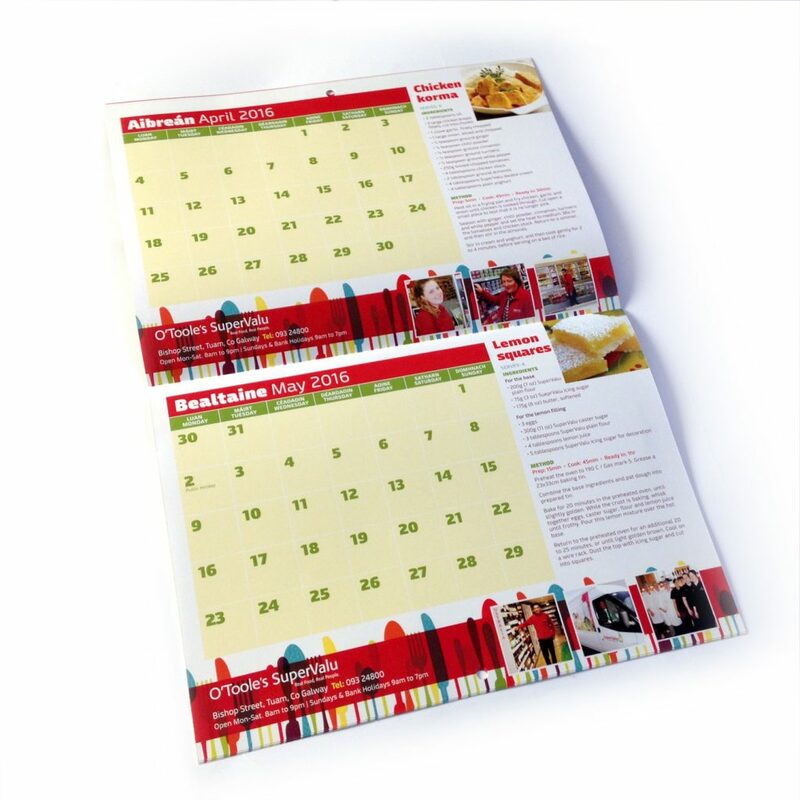 If you’re thinking about designing a calendar to promote your business, please don’t hesitate to contact us for more information.